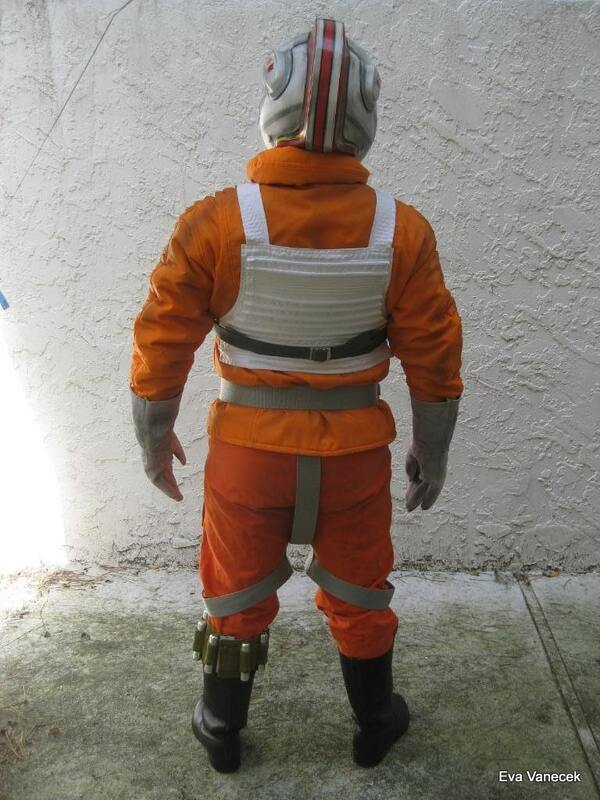 Luke Skywalker Hoth X-wing Rebel Pilot jacket for sale only, not the complete costume. 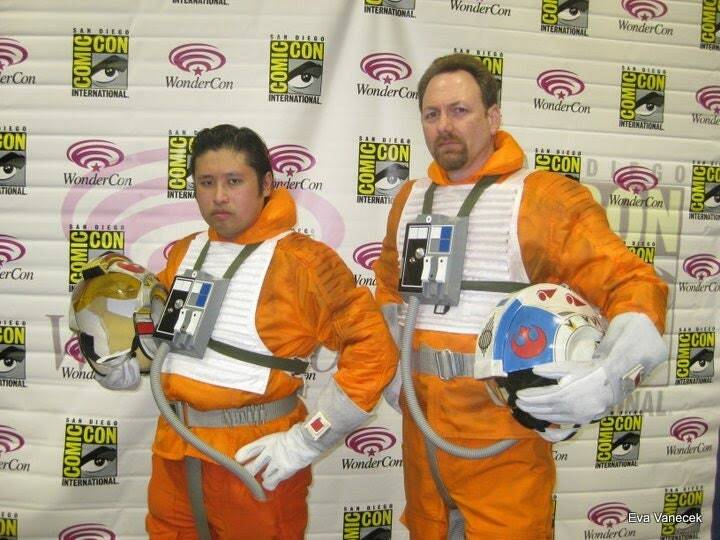 The pictures depict what the complete costume is suppose to look like . I only produce the jacket at this time. 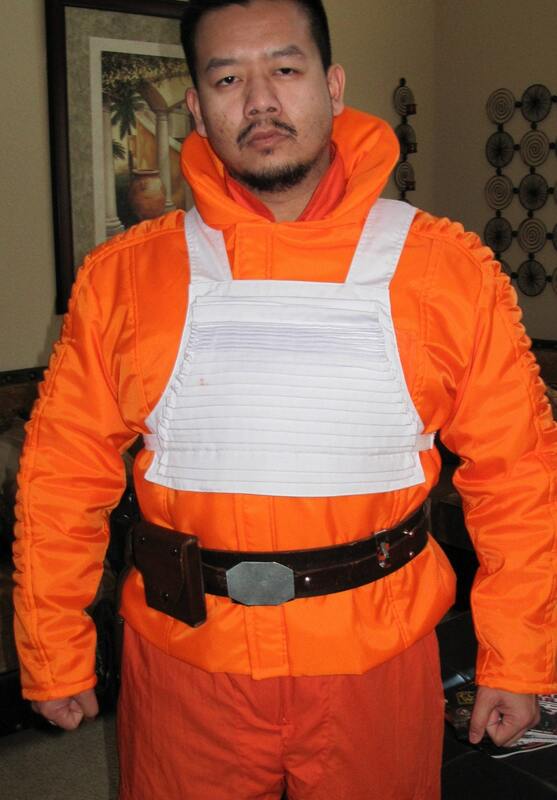 This jacket comes in several sizes. Need any other size, please ask. 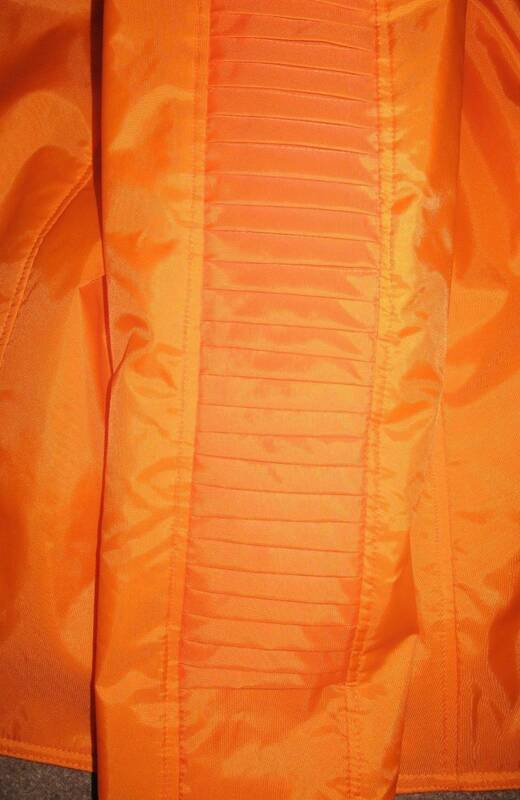 Also the knife pleat strips are very time consuming to produce, which makes this jacket labor intensive. The size measurement is based on an actual waistline measurement, you have to consider some ease which means if your waistline is 36 inches, order 40" waistline at least. There is a jumpsuit under it, you have to allow for ease, the bulk of the fabric and body movement. There is also a pocket in the upper left hand center front. 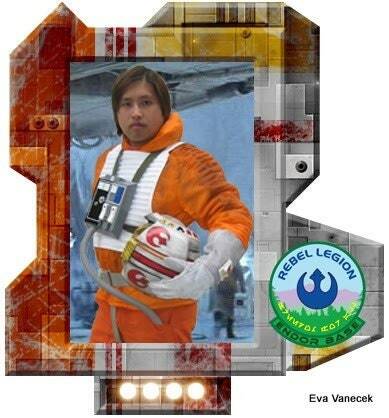 Measuring: 2.25" by 2.75"
The jacket is produced according to the stats written on the Rebel Legion boards. 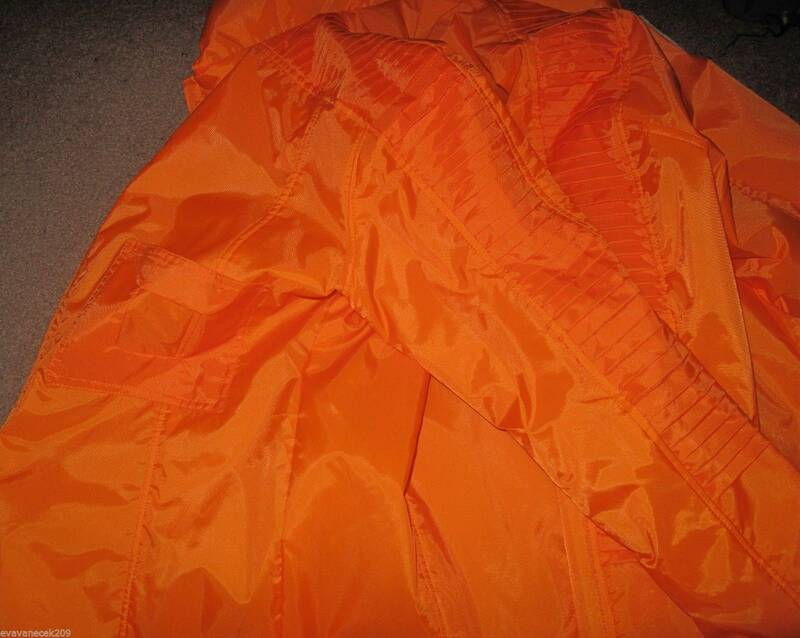 Some of the seams are top stitched. The knife pleats start approximately 7 inches inch up from the hem of the sleeve and are incorporated all the way up into the neckline. The pleating is hand done and is the most consuming part of this costume, each side takes up to an hour to pleat by hand. 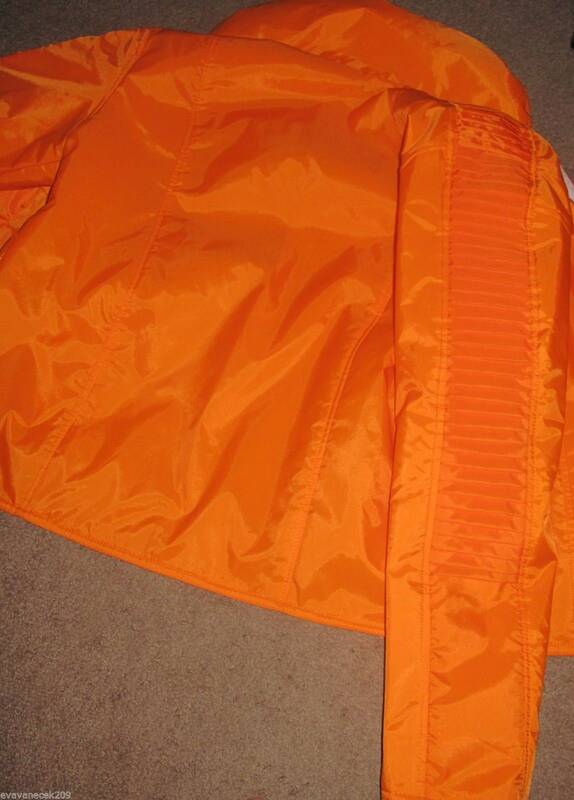 The coat is lined and also interfaced with felt throughout the jacket to give it volume. The collar is stuffed with stuffing to create the puff / bolk, if you wish a flatter collar please let me know. There seem to be 2 different versions of the collar. 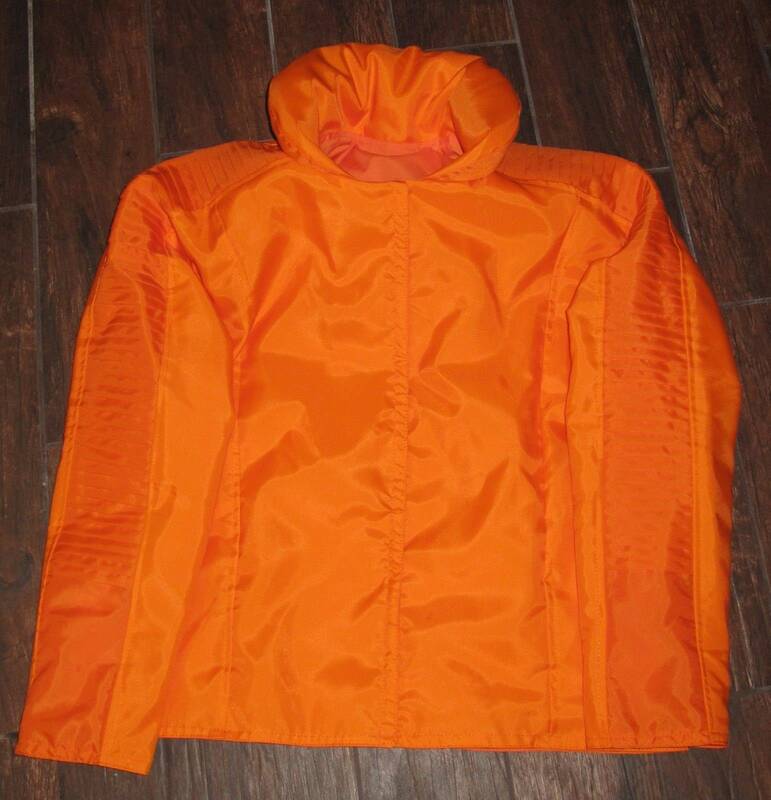 The jacket is lined with cotton medium weight novelty cotton in shades of orange . Provide your accurate measurements,ask questions before purchase and give instructions before production begins. 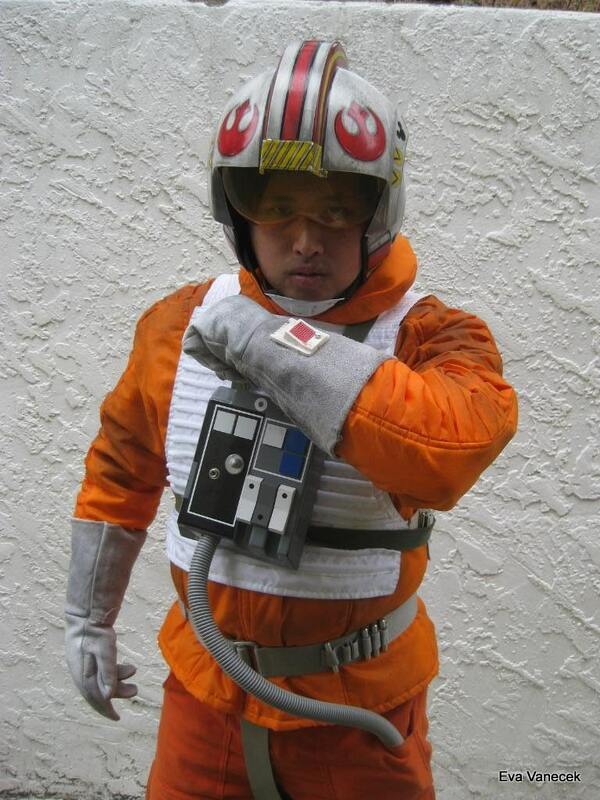 I will need your waistline measurement,sleeve length and the jacket length.